AI is increasingly finding its way into music videos, and not necessarily in obvious ways. 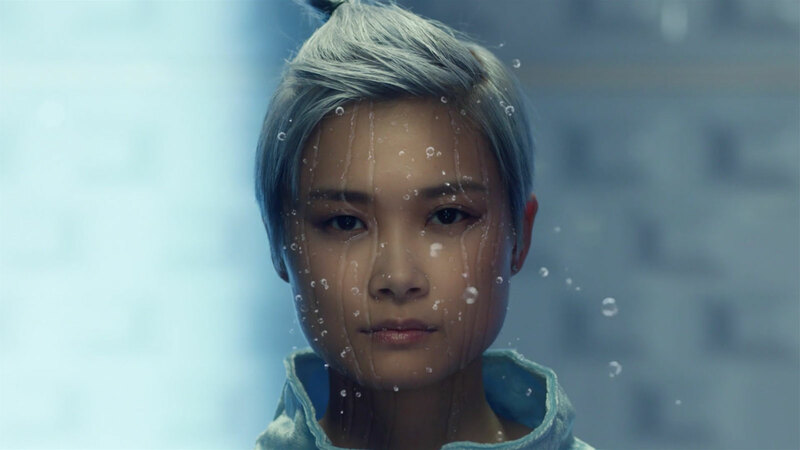 Intel has revealed that the promo clip for Chinese pop star Chris Lee's "Rainy Day, But We Are Together" is the first music video to lean on its AI technology. Director Timothy Saccenti and Intel's producers created dramatic special effects on the songstress' face (such as trickles of water and twinkling stars) by training a machine learning system to instantly reconstruct a face in 3D and track its movements in real time, including facial expressions. Instead of asking Lee (aka Li Yuchun) to wear tracking markers or the camera crew to shoot a specific way, the creative team could focus on capturing scenes that lined up with their artistic goals. This is something of an ideal situation for the AI: the effects shots all involve relatively still, uncluttered views of Lee's face, and the producers clearly aren't striving for absolute realism. Even so, the Intel technology hints at how AI may shape special effects in videos going forward. It may serve as an invisible helper that lets directors and cinematographers concentrate on their artistic vision, not technical limitations.